Hearing loss has been linked with a variety of medical, social and cognitive ills, including dementia. However, a new study led by Johns Hopkins researcher suggests that hearing loss may be a risk factor for another huge public health problem, falls. 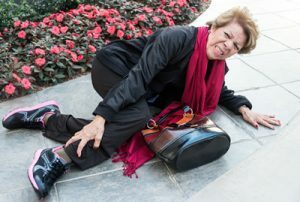 Lin, an assistant professor at the Johns Hopkins University School of Medicine and the university’s Bloomberg School of Public Health, and Ferrucci found that people with a 25-decibel hearing loss, classified as mild, were nearly three times more likely to have a history of falling. Every additional 10-decibels of hearing loss increased the chances of falling by 1.4 fold.